Amidst tight security arrangement in Guwahati due to rally against Citizenship (Amendment) Bill, the astadhatu idol of Goddess Ugratara inside the Ugratara temple was stolen in the wee hours on Friday. Along with the idol, the thief also looted gold and silver jewellery and coins besides the donation box from historic Ugratara Devalaya, located at around 150 meter distance from Latashil Police Station in the city. 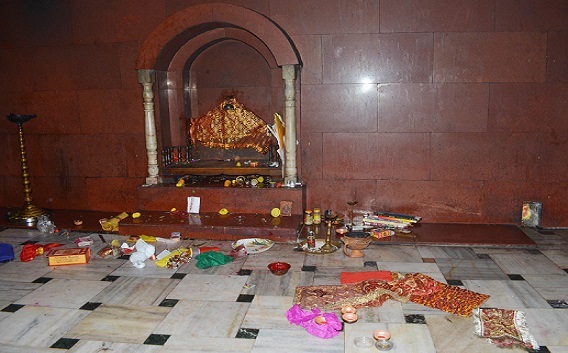 The idol has been worshipped in the temple since 1044 AD and the temple is revered as one of the 51 Shakti Peeths of the Hindus in the country. A case (No 271/18) under sections 457 and 380 of the Indian Penal Code has been registered at the Latashil Police Station.